CHARLESTON, SOUTH CAROLINA, UNITED STATES, August 30, 2018 /EINPresswire.com/ -- Among Seacoast Church's initiatives is its own sports ministry, known as Seacoast Sports. Backed by generous individuals and church members, the ministry has gone from strength to strength in recent years. 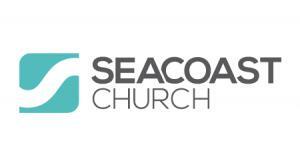 The church exists in the wider sense to, in its own words, help people find God, grow their faith, discover their purpose, and make a difference, while Seacoast Sports is focused on what it calls Christ-centered fitness. "I said to Wes, 'If it has to do with God's kingdom and athletics... I'm in!'" reveals Dangerfield of the pair's first meeting.